← How is your Lent going? 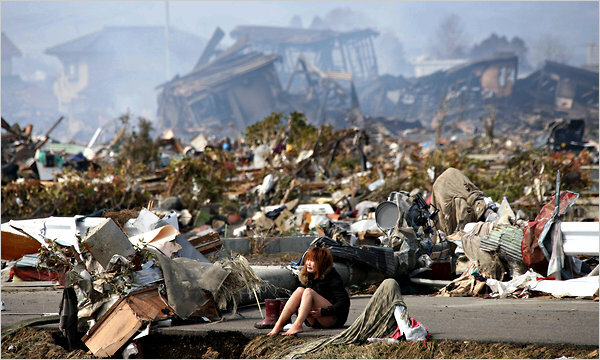 The devastation from the Earthquake and tsunami is heart breaking. It is feared that the death toll will exceed 10,000. To help out donate go here. This entry was posted in Uncategorized and tagged Catholic Relief Services, Earthquake, Japan, Tsunami. Bookmark the permalink. The Japanese people have a special place in my heart. And I weep for their loss. My mother was Japanese and this is the land of my birth. The footage I’ve seen are so devastating and horrific. How frightened they must be. My deepest prayers are with them. God have mercy on Japan and on the whole world. I pray that your relatives are safe. Our Lady of Akita, pray for the people of Japan.